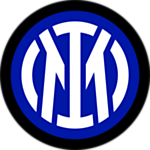 Internazionale and Eintracht Frankfurt face at Stadio Giuseppe Meazza, in a 2nd leg match for the UEFA Europa League (8th Finals), after a (0‑0) draw in the 1st leg match. The home advantage may play an important role in this match , since Internazionale presents significant differences between home and away results. The home team comes to this 2nd leg match after an away goalless draw, so in case of a win they will have the advantage in the aggregate result. This is a team that usually makes good use of the home advantage, stronger with the help of its supporters, since in the last 30 matches they register 5 wins, 4 draws and 6 losses in away matches, with 16 goals scored and 18 conceded; against 10 wins, 4 draws and 1 loss at their stadium, with 29 goals scored and 6 conceded. In their last match, for the Serie A, they got a home win against SPAL by (2‑0). In the last 10 home matches Internazionale has won 6, tied 2 and lost 2. Their offense has scored consistently, as they have scored goals in 7 of the last 10 matches. In 15 matches, they have conceded the first goal 5 times and have never been able to turn the score around. there are 2 periods that stand out in the last 20 home matches for all competitions: they have scored 16 of their 36 goals between minutes (76'‑90'); they have suffered 4 of their 11 goals between minutes (46'‑60'). Inter Milan comes for this match motivated after a 2-0 triumph in the reception to SPAL, in a game to count for the Italian championship. It should be noted that the home club drew 1-1 against Frankfurt in the European League Round of 16 first leg. The home team usually acts in a traditional 4-3-3, favoring a faster style of game, of constant transitions, attacking, preferentially, by the lateral corridors. It should be noted that in this drawing, the three most advanced players are Perisic, Politano and Martinez. Out of this game are Vrsaljko and Mauro Icardi, both with physical problems. Confirmed Lineup: S. Handanovič, D. D'Ambrosio, S. de Vrij, M. Škriniar, Cédric Soares, A. Candreva, I. Perišić, Borja Valero, M. Vecino, M. Politano, K. Baldé. The away team comes to this 2nd leg match after a goalless draw in the 1st leg and the advantage of not having conceded any home goals. This is a team that usually maintains its competitive level in home and away matches, since in the last 30 matches they register 8 wins, 5 draws and 2 losses in away matches, with 40 goals scored and 16 conceded; against 10 wins, 3 draws and 2 losses at their stadium, with 39 goals scored and 15 conceded. In their last match, for the Bundesliga, they got an away win against Fortuna Düsseldorf by (0‑3). 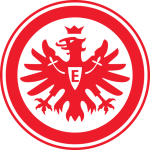 In the last 4 UEFA Europa League away matches Eintracht Frankfurt has a record of 3 wins and 1 draw. In this competition, they haven’t lost any of the last 4 away matches. Their offense has scored consistently, as they have scored goals in 8 of the last 9 matches for this competition. In their away mathes there is a tendency for goals, since 22 of the last 31 matches have ended with Over 2,5 goals. Eintracht Frankfurt comes for this match after a 3-0 win against Fortuna Düsseldorf: the goals were signed by Gonçalo Paciencia and Haller (2). It should be noted that the visitors drew by zero against Inter in the first leg. Unlike the "enemy" of this round, the coach Adi Hütter is usually in a 3-5-2 where the two most advanced players are Luka Jovic and Haller. The visiting club when it invests in the offensive process usually does it through the left flank, taking advantage of the depth offered by the wing Kurtic. Out of this game by injury continue Abraham and Rebic. Confirmed Lineup: K. Trapp, D. da Costa, O. N'Dicka, J. Willems, M. Hinteregger, F. Kostić, M. Hasebe, S. Rode, M. Gaćinović, L. Jović, S. Haller. This confrontation should be a very balanced game since it puts in the field two teams that present very similar game models. However, Inter Milan are favorites to play with the support of their supporters. Having said that and taking into account all the factors, risking a game with few goals in this challenge is a good option. Market Both teams to Score? First Half Goals 0.5 First Half Goals 1.5 Half Time Half With Most Goals Match Odds Odd or Even Over/Under 0.5 Goals Over/Under 1.5 Goals Over/Under 2.5 goals Over/Under 3.5 Goals Over/Under 4.5 Goals Over/Under 5.5 Goals Over/Under 6.5 Goals Penalty Taken?